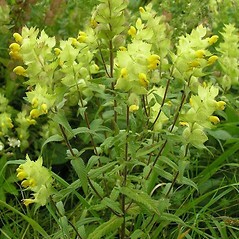 European yellow-rattle is of European origin, and in New England has only been recorded from Massachusetts. 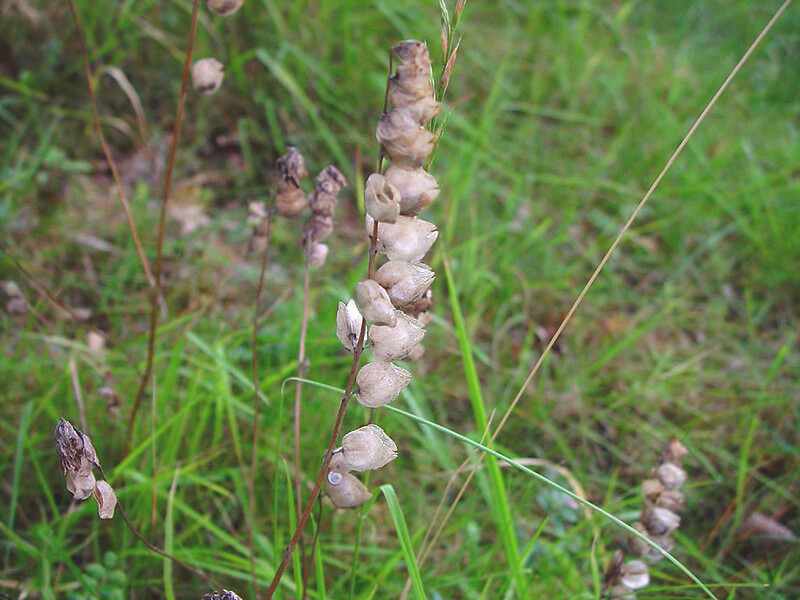 It is a hemiparasitic plant, meaning that it can photosynthesize to produce its own food but also attaches itself to the roots of other plants to obtain nutrients from them. 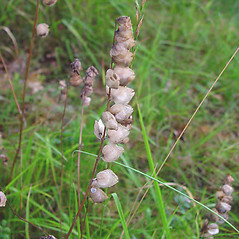 The species has specialized hairs on the leaves (trichomes) that secrete water and may aid the plant in sucking xylem sap from its host plant. corolla mostly 18-24 mm long, the upper lip with small lateral lobes 1.5–2.5 mm long (vs. R. alectorolophus, with the corolla 9–15 mm long, the upper lip with small lateral lobes up to 1 mm long). 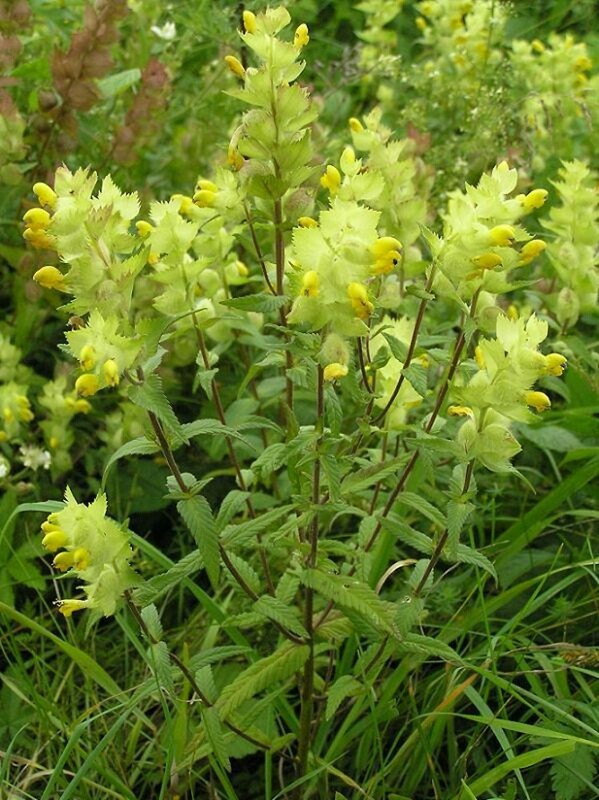 European yellow-rattle. Rhinanthus major Ehrh. • MA. Fields.